Don't let the name mislead you - this isn't a disco - it's a dance party! Students can dance the night away with live music, lights and food. 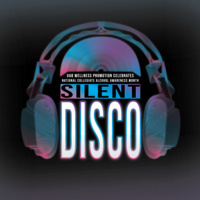 The name, Silent Disco, may be misleading: the event will neither be silent nor a disco. Attendees will be given headphones to wear that will play current club music mixed by a live DJ. The DJ will have different mixes available to allow attendees to easily switch between the options. Students can groove to the music they choose. Silent Disco is the first of three events observing Alcohol Awareness Week. While the focus is on dancing and fun, students will also hear some facts about alcohol use. Entrance is free for UAB students, and food will be provided during the event!